(AP/Reuters & WXXI News-Stockholm) Francois Englert and Peter Higgs have won this year's Nobel physics prize. Britain's Peter Higgs and Belgium's Francois Englert won the 2013 Nobel prize for physics for predicting the existence of the Higgs boson - the particle key to explaining why elementary matter has mass - the award-giving body said on Tuesday. The two scientists had been favorites to share the prize after their theoretical work was finally vindicated by experiments at the CERN research center's gigantic particle collider. "The awarded theory is a central part of the Standard Model of particle physics that describes how the world is constructed," the Royal Swedish Academy of Sciences said in a statement. University of Rochester physics professor Carl Hagen was one of five living physicists eligible for work on the theory about how particles get mass. The 76 year old Hagen's name has been in the running for the prize for several years because in 1964 he was part of a team that came up with a theory showing how some subatomic particles could obtain mass by passing through a special field in the universe right after the Big Bang 14 billion years ago. "I couldn't have imagined 50 years ago, when I was working with my colleagues Gerald Guralnik and Tom Kibble on our paper, that society would spend billions of dollars and that thousands of scientists worldwide would be involved in the search for a particle and a mechanism that stem from those three papers published in 1964. I am very happy to see the recognition of the Swedish Academy for this area of work and want to offer my congratulations to Francois Englert and Peter Higgs. 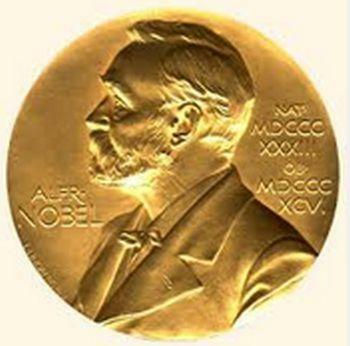 As my colleague Tom Kibble has said, it is no surprise that with the Nobel Prize unable to go to more than three people, the Academy felt unable to include my co-authors and me. But I am nonetheless very proud of the work we did, at how complete our explanation was, and how that has contributed to our understanding of how particles obtain mass. After so many years, sitting in that auditorium at CERN in July 2012, it seemed that the confirmation so many people worldwide were waiting for had arrived. It was fantastic to share in that, in an atmosphere Gerald Guralnik likened to a football rally. Until I went to college, I wasn't aware that one could make a living out of being a physicist and it has been wonderful to be able to do this. We certainly need to ensure that society continues to support scientific research. I encourage young people who love science, to persevere at it as it can be a truly enriching endeavor."